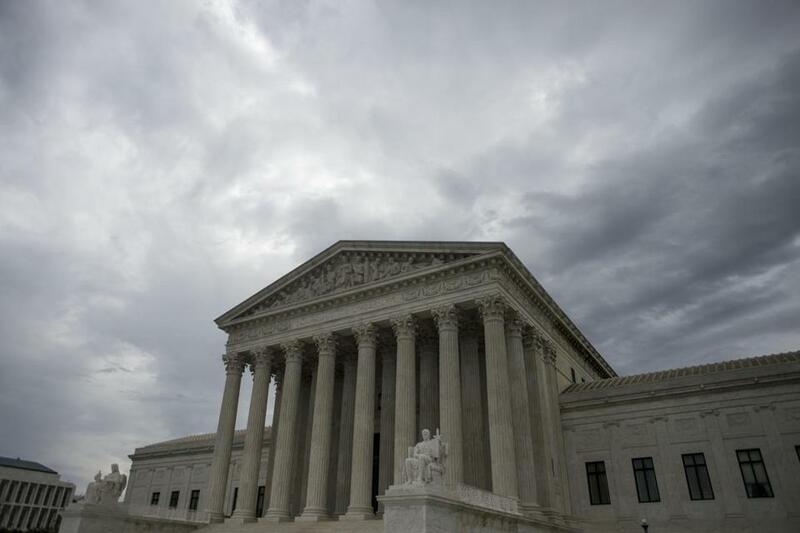 Will this redistricting case tilt Justice Kennedy? FOR MORE THAN a decade now, redistricting reformers have hunted for the Holy Grail: A nonpartisan standard to identify partisan gerrymandering that would appeal to Justice Anthony Kennedy, the swing vote on a Supreme Court that has consistently refused to stop determined Republicans or Democrats from tilting maps in their favor since the founding of our nation. They just moved one historic step closer. The Supreme Court today agreed to hear Gill v. Whitford, a partisan gerrymandering case from Wisconsin that represents the most serious legal hope in years to defeating this dark art of tilting district lines to favor one side or the other. It raises hopes for fairer maps in blue and purple states like Ohio, Michigan, Pennsylvania, North Carolina, and Wisconsin, where a far-reaching Republican gerrymander after the 2010 Census has effectively insulated state legislatures and congressional seats from the ballot box, perhaps for the entire decade. When the Supreme Court last addressed partisan gerrymandering, in a 2004 case called Vieth v. Jubelirer, Kennedy sided with a 5-4 majority that rejected an argument from Pennsylvania voters who claimed an aggressive GOP gerrymander interfered with their constitutional right to equal protection. But while Justice Antonin Scalia and others from the conservative wing wanted to close the door on the Court’s involvement in future challenges, Kennedy kept it cracked. These particular plaintiffs might not have shown a manageable constitutional standard to determine when a gerrymander went too far — but Kennedy wasn’t ready to say it was impossible that one might exist. Then he pointed the path reformers would need to follow to earn his backing next time. Democrats fell asleep, and Republicans found a bargain-basement strategy that could lock in the House for a decade. Enter the Holy Grail. It’s called the Efficiency Gap. It works by measuring partisan asymmetry — or the votes that savvy mapmakers “waste” when drawing district lines that either “crack” one party’s votes and divide them among many unwinnable districts, or “pack” them as intensely as possible into as few seats as possible. Wisconsin is fertile ground for this challenge. It may be one of the most competitive and deeply divided states in the nation, yet despite consistent shifts between the left and right in statewide elections, its state legislative and congressional districts have less swing than Coldplay. Barack Obama carried the state by seven points in 2012. Gov. Scott Walker, a conservative Republican, earned reelection in 2014 by six points. Then Donald Trump edged Hillary Clinton in 2016 by a margin of 30,000 votes. But while Wisconsin has veered in both directions, and then into near deadlock, the GOP hammerlock on the state legislature has not budged. Republicans took control of Wisconsin redistricting in 2010 when an audacious national effort called REDMAP — short for Redistricting Majority Project — successfully targeted and captured both houses of Wisconsin’s legislature. Then, GOP strategists disappeared behind closed doors at a politically connected Madison law firm, claimed attorney-client privilege over the line-drawing process, and generated detailed demographic algorithms to tilt districts their way even in years when Democrats earned more votes. It worked, immediately: Democratic Assembly candidates outpolled Republicans statewide in 2012, but the GOP carried 60 of 99 seats. In 2014, that advantage increased to 63 seats; in 2016, the GOP added one more. 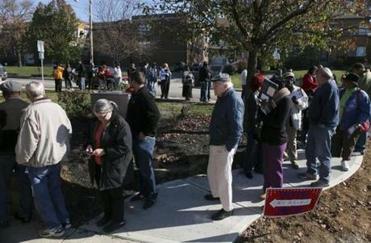 Less than 50 percent of the vote has consistently generated more than 60 percent of the seats. Just as troubling, the number of uncontested Assembly districts — seats where no major-party challenger bothers running because the lines make winning impossible – has doubled on these maps, and reached 49.7 percent in 2016. The outcome has been similar elsewhere. There’s a similar asymmetry in the Congressional delegations from Pennsylvania (13-5 GOP), Ohio (12-4), Michigan (9-5), and North Carolina (10-3), other states where REDMAP altered control over this last decade. That’s a 44-17 edge for the GOP — wider than the edge House Speaker Paul Ryan’s party wields in Congress. And in the 183 congressional elections this decade on these maps, in three very different political climates, a seat has changed hands exactly once. That gives you a sense of how hard it will be for Democrats to take back the House in 2018, even if an anti-Trump wave materializes. The situation has gotten even more serious since Justice Kennedy issued his challenge to reformers in 2004. The gerrymander has always been a partisan weapon, but the combination of partisan intent, geographic clustering, big data’s detailed information about voters, and highly sophisticated map-making programs have made it absolutely lethal this decade. Time is running out to fix it: Kennedy’s retirement has long been rumored, and it seems likely that if President Trump gets a second Supreme Court pick, the partisan balance on the court will shift to the conservatives. If the high court is to establish a standard, the window is closing. The real question may be whether Kennedy remains interested in partisan gerrymandering. When the Court overturned two North Carolina congressional districts last month as an unconstitutional racial gerrymander, Kennedy signed onto a dissent by Justice Samuel Alito that expressed deep concern about whether the Supreme Court ought to arbitrate partisan gerrymandering at all. It’s not hyperbole to suggest that the way our democracy looks for more than the next decade now rests in whether the Efficiency Gap changes one justice’s mind.